Moving into your first apartment can be overwhelming, to say the least. Figuring out what you need to cook for yourself can be a daunting task. While there are plenty of lists on the internet about what you need to outfit a basic kitchen, my years of cooking for myself have taught me that there are a few unexpected things that those lists are missing - so here's my list of five things you didn't know you needed for your first apartment kitchen. One of the few things I truly dislike about cooking is the smell of garlic on my hands for days after I make anything with garlic. And I use garlic a lot. It also saves time - I need to work on my chopping skills, so me chopping a tiny clove of garlic is a recipe for disaster. This handy little gadget squeezes garlic through a press and it comes out already minced for you. If you cook with garlic (99% chance you do), this small gadget is worth your money. You don't even really have to peel the garlic before putting it through the press - it's so convenient. When you've got a pan of shrimp scampi going on the stove, this will also save you time in the kitchen. I grab this gadget almost every night when I cook dinner and I'm grateful for it every time. I went through two crappy $15 blenders before finally realizing that you get what you pay for. I'm not saying you need to buy a $500 Vitamix (that would be pretty sweet, though) but investing in a good blender ranging from $40-$100 will last you years. Why do you need a blender? In addition to making actual blended things, like smoothies (I make one every day for lunch), milkshakes, margaritas, strawberry daiquiris, piña coladas (see where I'm going here?) and more, a good blender doubles as a versatile kitchen appliance. While I got a food processor for Christmas two years ago because I'm weird, a blender can do a lot of your food processing work for you if you're not a frequent or fancy chef. I still use my blender to blend soups like red lentil soup, to make sauces smooth, for pesto, salsa, whipped cream, muffin mix, pancake mix, homemade hummus, and so much more. Blenders facilitate eating healthfully and cooking quickly, all on one convenient appliance. I owned this one for $29.99 and was happy with it. I made piña coladas for 100 people once and this thing was a champ (#college), if a little slow on the heavy duty ice chopping. There are definitely better options if you can spend a bit more, so check out some write-ups to decide. I'm planning to make a big upgrade to The Hemisphere Control from Breville based on Cook's Illustrated Reviews (side note: this is a great, reliable site for honest reviews of products) because I use my blender all the time. This would be my recommendation, especially if you don't have a food processor - it will handle anything you need to do in the kitchen. My little bro got me this for Christmas this past year and I was super impressed by his awesome gift giving. He actually got it for me because I needed a thermometer for my homemade yogurt making (with my Instant Pot!) but I've ended up using it more for what it's intended for - meat. I've always checked to see if my meat is done by cutting it in half, and if it's not done, waiting a bit and then cutting the half in half - lol. Now that I have a food blog, that is a less than ideal way to present food. Now, I stick the thermometer in, set it to the correct internal temperature (depending on what I'm cooking, safe food temp info is available on the web), set the alarm to beep when it reaches that temp (I LOVE this feature. No need to worry about watching the stove and wondering if it's done! ), and walk away. You can also use it for baked goods like cheesecakes, bread, the temperature of water for poached eggs, or a foray into homemade yogurt. While there are some really fancy ones out there, you just need a basic thermometer (look for one with a long cord so you can use it in the oven and keep the reader on the counter) - although I do love that mine beeps when the correct temp is reached! Nothing will save you money like not wasting food, bringing your own lunch, and eating leftovers. Those three things are much more appealing when they're properly, cleanly, and safely packaged. I've been building up my Tupperware collection since the summer before I went to college (again, because I'm weird) and it's become invaluable to my ability to stay on budget and eat healthy meals cooked at home. I am a strong believer in the Tupperware brand, and although I have some leftover plastic takeout containers and such, I appreciate tupperware for its sturdiness and reliability. Opening up your lunch to leaked salad dressing everywhere is a major bummer. I tend to use Tupperware to pack my lunch, but I do keep a variety of Glad and Rubbermaid food storage containers in my cabinets for extra leftovers in the fridge. If you're looking to buy some starter Tupperware, get a few different sizes. I love the 6 for $15 2 oz. Mini's set for no-leak salad dressings, peanut butter/almond butter, and ranch dip for veggies. The 4 for $25 Microwave "Cereal Bowl" Set is my go-to for any leftovers - I bring my lunch in these to safely re-heat in the microwave, and even pack sandwiches in them to keep the bread from getting squished! 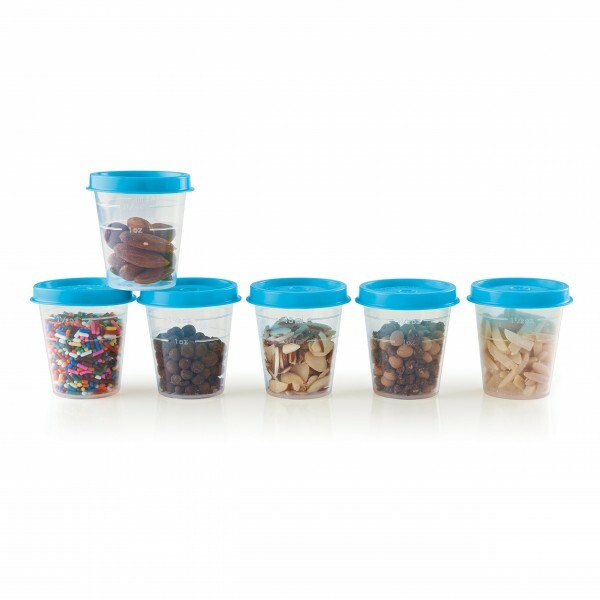 I use the Snack Cups for all of my snacks, from almonds in my purse to goldfish to hummus (4 for only $9.99 on Amazon!). 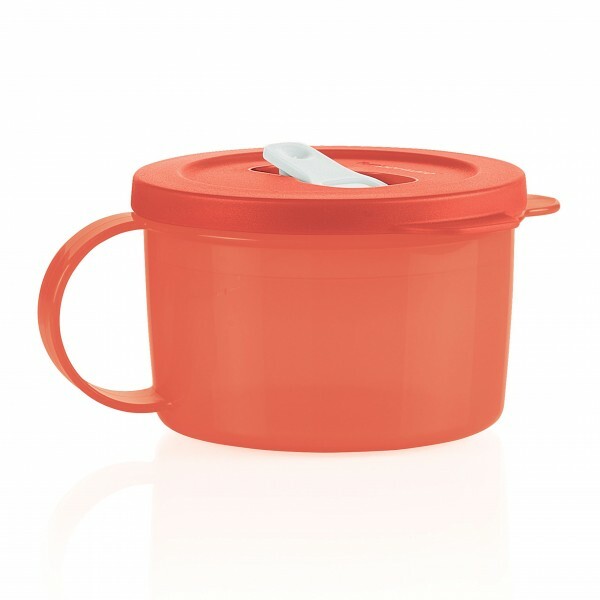 Last but not least, the $9 Soup Mug makes it super easy to re-heat warm soups, stews, and chilis in the microwave and I don't have to worry about soup getting all over my lunchbox. Because ew. There's no reason you should be buying your favorite hot beverage in the morning when you can make better coffee & tea in your home, for less. You probably know that it's expensive to buy coffee every morning. It's always one of the top recommended budgeting techniques when you're looking to save a little cash. But how come it's so hard to do? I really think that the key is wanting to drink the coffee and tea you made yourself, preferring it even. In order to make that a reality, you need your coffee and/or tea setup to make that possible for you. That means spending the money up front on whatever you need to actually look forward to enjoying your morning beverage at home. Wondering how much you'll save? Around $800 a year. Looking for some ideas for an ideal setup? For tea, consider loose leaf (I'm a huge fan of Republic of Tea). All you need is tea & a strainer to get started. You can even get a to-go mug with a built in strainer. I love tea lattes, so I purchased a milk frother for chai tea lattes and lavender syrup for London Fogs with lavender. These used to be the drinks I'd splurge on when I was in a coffee shop, and now I have no need to do that because I know I can make them at home! For coffee, the options seem like they're endless. You can go with one of the many Keurig models, or get fancy with the artisanal (but still relatively simple) AeroPress, Chemex, FrenchPress, or MokaPot. Purchasing a cheap milk frother like the one I use for my tea lattes and buying a few syrups like vanilla or hazelnut means you can be making your favorite beverage at home in no time. I definitely recommend spending the money on a good, spill-proof, leak-proof travel mug just to make it even more convenient to get your morning caffeine fix at home. I LOVE my Spillproof Travel Mug from L.L. Bean, which as a lifetime warranty and can withstand me biking to and from school and work with no leaks. It keeps my tea hot during the hour and a half that I work out at the pool and shower, too, which is impressive. I've already written about my two favorite, would-be-lost-without-them appliances extensively, but this list would be incomplete without mentioning them. Read about The One Appliance Every Twenty-Something Can't Live Without. Find out Why Every Millennial Needs a FoodSaver. Note: the Snack Cups are cheaper on Amazon! Note: This post contains affiliate links for products I recommend. That means if you click on a product link in this post and choose to purchase the product on Amazon, I earn a commission. I only recommend products I use and love organically. This means that if you are going to purchase a product that I recommend, I encourage you to do it through the direct link from the blog so that I (and the blog) benefit. Please note I do not own the Breville blender and therefore will not earn a commission if you purchase that product since I can't fully endorse it yet. The rest of the products I own and love (or Matt owns and loves, in terms of the coffee products). I do not earn anything from the items on L.L.Bean or the Tupperware websites. Read my full affiliate disclosure.